Hey everyone! 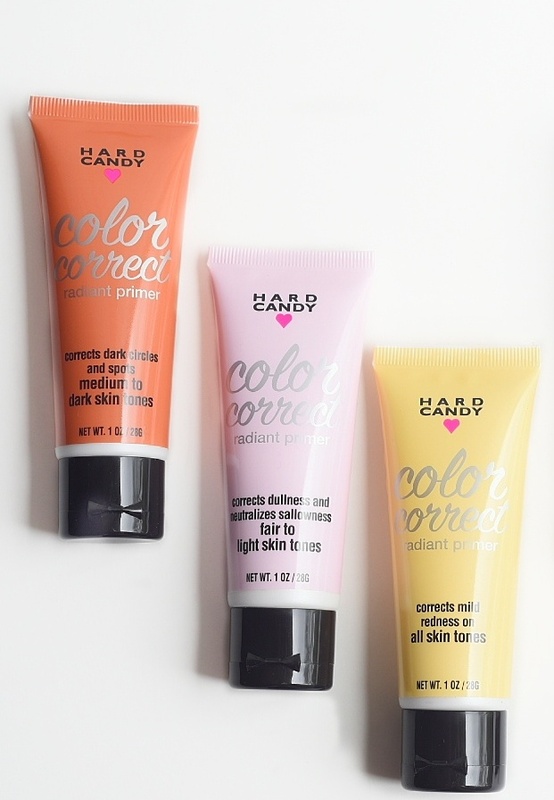 I'm really excited to review the Hard Candy Limited Edition Color Correct line for you. This limited edition line of affordable face products consists of three formulas in six shades. "This is the first step in neutralizing your skin concerns." I tested out the Pink Radiant Primer, and it worked really well for me. I applied it after I cleaned and moisturized, making sure to rub it in until absorbed. Then, I applied my makeup starting with my Urban Decay foundation. My face was brighter. My makeup lasted all day. It felt very comfortable! My only complaint about this primer is that it's limited edition. I really hope Hard Candy changes their mind and makes this primer permanent. I went to my Wal-Mart to buy more items from this line and the display was almost wiped out. "A crème color corrector that helps target skin imperfections." 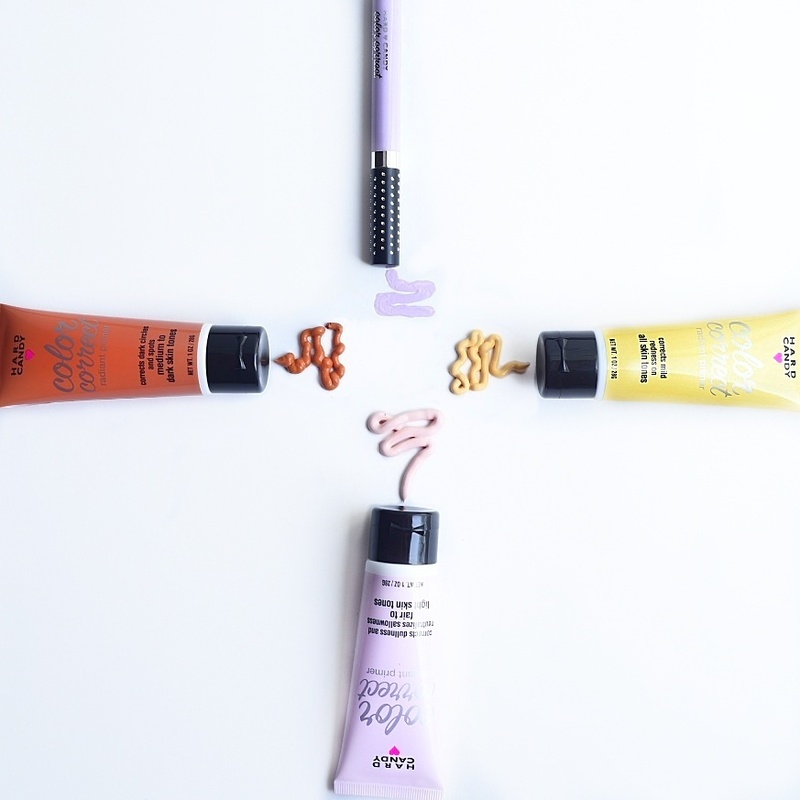 The formula of these wands are light weight and creamy. The best way, in my opinion, to apply these is to use the wand to place the crème, then blend with a sponge applicator. "A creamy, blendable, pastel stick concealer that helps camouflage skin imperfections." The formula of these sticks are excellent. They glide on very well and have excellent coverage. GREEN: helps neutralize skin redness due to sunburn, rosacea, uneven skin tone, or acne. YELLOW: helps neutralize mild skin redness due to mild sunburn or acne. PINK: helps neutralize dullness and sallowness on fair to light skin tones. LAVENDER: helps neutralize dullness and sallowness on medium to dark skin tones. PEACH: helps neutralize dark circles and spots on fair to light skin tones. ORANGE: helps neutralize dark circles and spots on medium to dark skin tones. Have you tried any from this line? If you haven't you can find them at Wal-Mart. Each formula retails for $5. You better stock up before they're out! 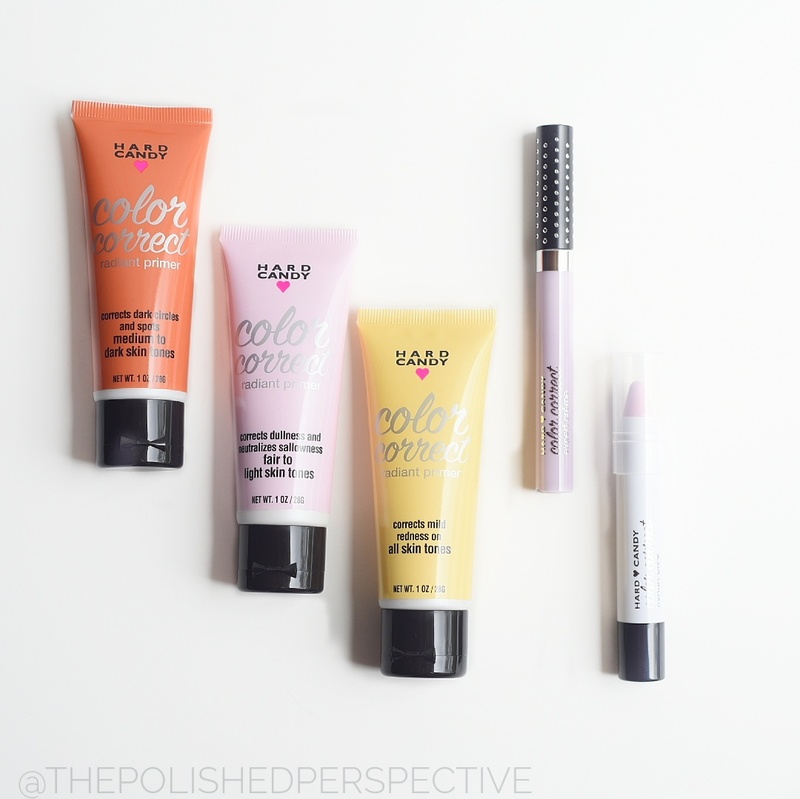 Love the packaging on the Hard Candy Color Corrector. And your photos are so creative and fun! I love Hard Candy, and I have seen this collection up front in the cosmetics aisle at Walmart. Haven't bought anything from the Color Corrector Line though.